From blue- green to purple and pink, flower-shaped to squat and spiky or tall and fuzzy, the variety, versatility, and low-maintenance care of succulents makes them go-to plants for home gardeners. Here, succulent stylist Rachael Cohen shows that these traits also make succulents the ideal material for living art. Tiny, jewel-like succulents can be clipped and replanted in infinite combinations, and unlike cut flowers, they thrive in these arrangements. When planted in corks, they become charming living magnets; when placed in seashells, they are a delightful reminder of a day at the beach. Succulents can also grow nestled in moss, creating an opportunity for even more creativity: arrange them atop mini pumpkins or adorn a headband or a tiny wreath. In addition to illustrated step-by-step instructions for more than a dozen crafts, Cohen explains which succulents are best for each project, how to clip and prepare rosettes and leaves, and what to do when the plants outgrow their art pieces. Lush photographs throughout capture the natural beauty of the plants and boundless range of possible creations. 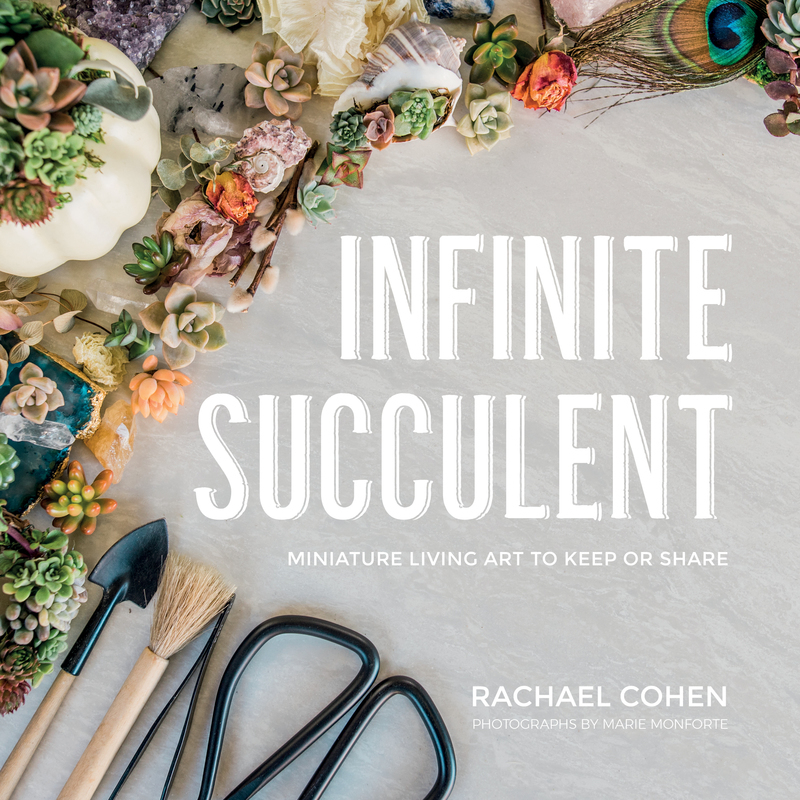 Rachael Cohen is the owner and creator of Infinite Succulent, a plant art and styling service. She develops and leads plant-styling workshops and has been featured by CBS News in San Diego and San Diego Home/Garden Lifestyles magazine. She lives in Southern California.